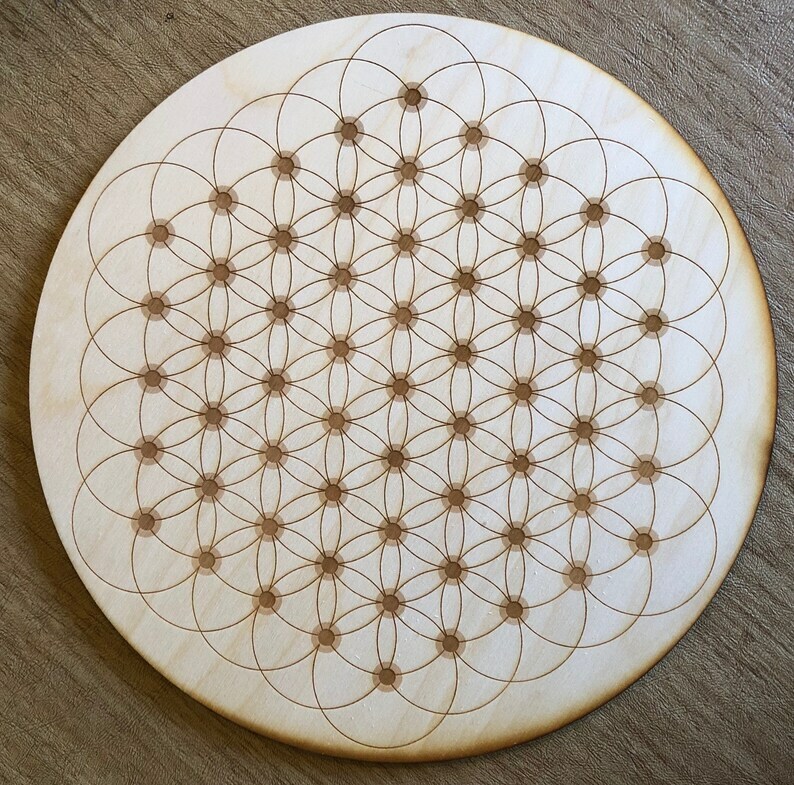 This is a Flower of Life crystal grid made out of Birch wood. These are made to order, you can choose between approximately 3, 6, 9 and 12 inches in diameter and 1/4" thick. This is just for the grid, stones much be purchased separately.